National parks are a place where the absolute best and some of the worst of humanity coexist — even if only for a Saturday morning. For every oblivious trail hog, or litterer, or ill prepared complainer, there’s someone like Corey: a stranger I met on a weekday hike in Rocky Mountain National Park. With his camping stove and casual flannel, Corey quietly surveyed the expansive landscape that stretched out before him, using a handful of colored pencils to jot down his interpretation of the scenic view on a ratty old sketch pad. 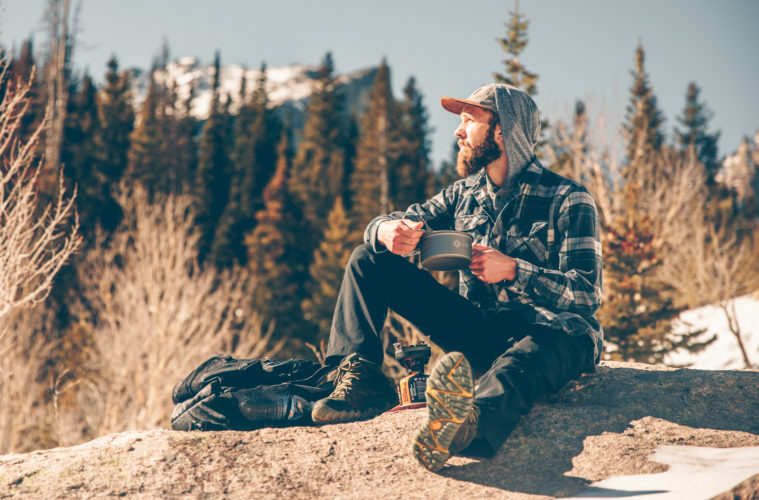 His beard, a dead giveaway for an outdoor enthusiast, captured every highlight and bright orange glimmer from the sun. Nature is meant to inspire, and Corey, with his calm presence and mix of awe and appreciation blanketing his face, certainly inspired me to take an extra second to look around and remember the good that still roams throughout this beautiful country. Postcards From the Weekend is our weekly photo series showcasing images and stories from our adventurous and outdoor-loving contributors at Elevation Outdoor Magazine. Follow along and see where our team of adventure-seekers like to spend their weekends. Subscribe to the Summit Register Newsletter.